The above info came from Ryoko Hakubi, and was edited by yours truly (contact me). The image came from Amazon.com. It is the year 22 HC (The Holy Century). Humans are an endangered species while monsters and anthros rule the world. 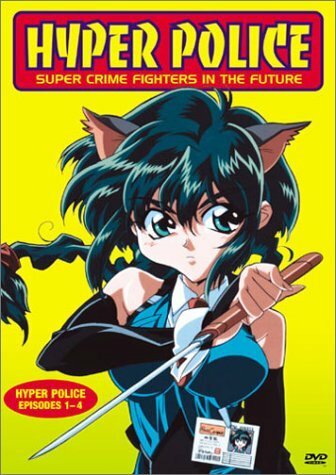 Natsuki Sasahara, a 17 year old half-nekomata (mythical Japanese cat-beast) is a bounty hunter for the Hyper Police. She has special powers, so along with those and with the help of her nine-tailed fox friend Sakura, they hunt down the bad guys of the now exotic city.